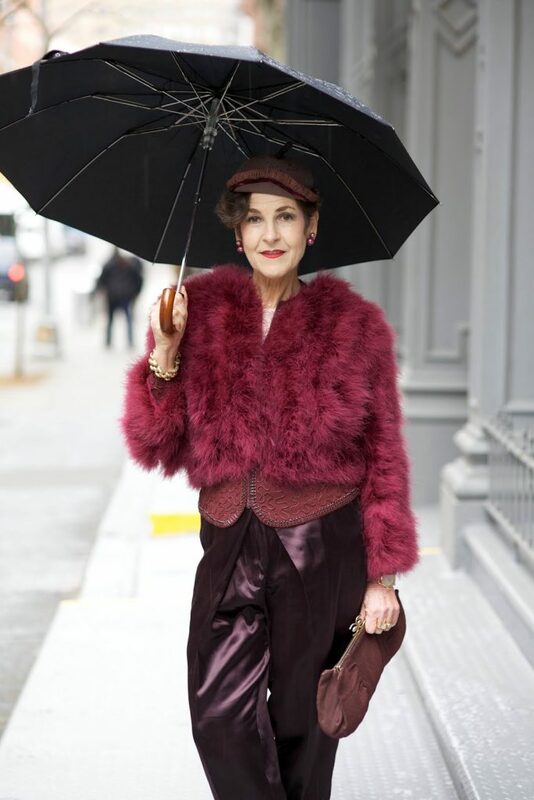 Come rain or come shine style icon, Tziporah Salamon always looks absolutely fabulous. 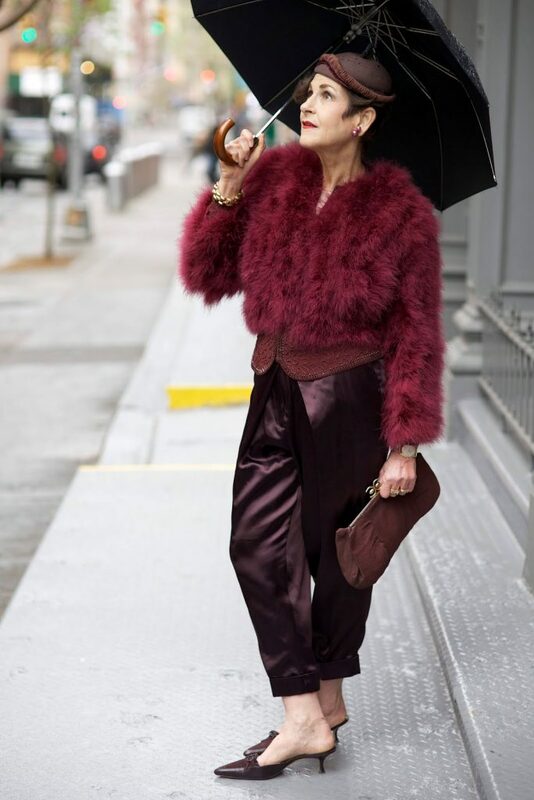 I caught her on a way to a meeting in SoHo, when it started to pour all of a sudden. Tziporah and I ran across the street to a semi -covered building and got some great shots. 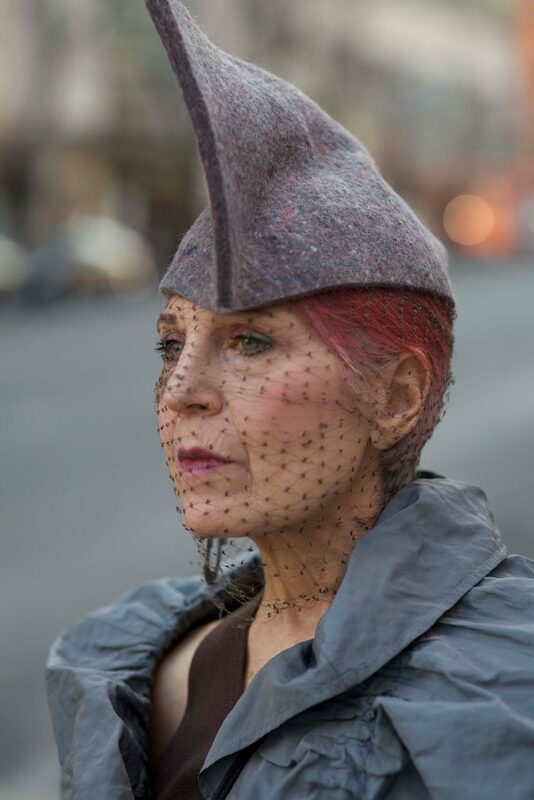 I ran into artist, Elke Kuhn, at turban making workshop put on by the milliners guild last night. 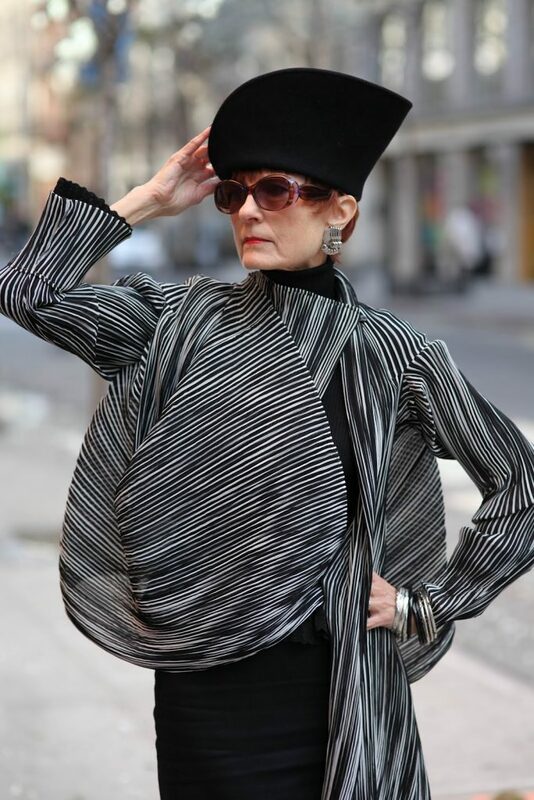 She looked as fantastic as ever in her wonderful accessories and wonderful hat. Elke and I are making a date for me to visit her at her house. I can’t wait to see all of her amazing creations! 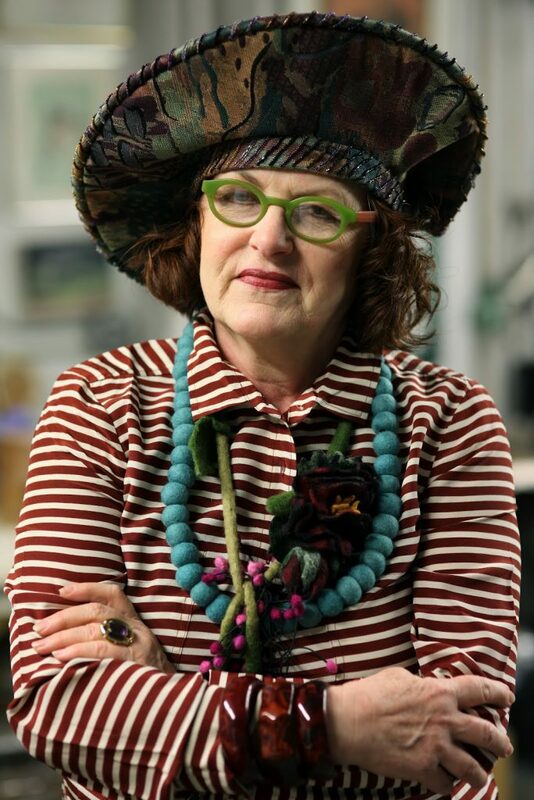 Debra Rapoport always has the most amazing accessories, most of which she makes by hand out of recycled materials. 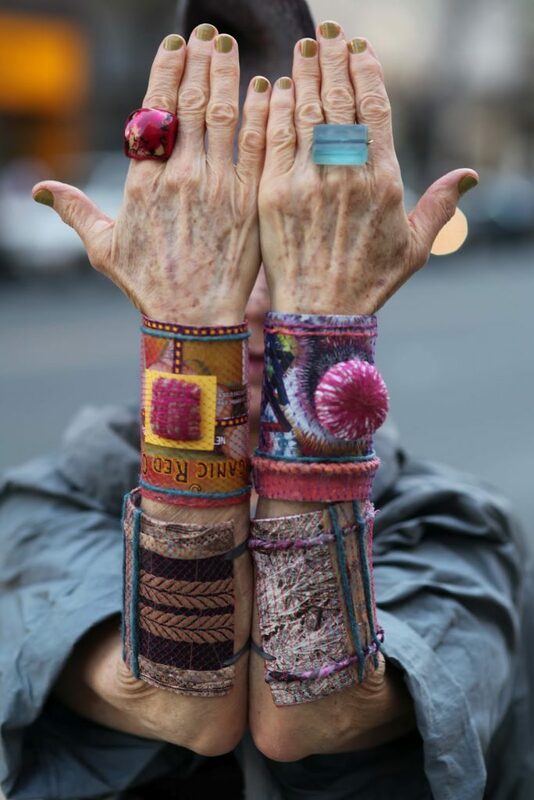 People always stop her to ask about her wonderful industrial felt hats and bracelets and lately she has been selling them right on the spot. Debra says, ” Everyone these days is so into E-commerce, well I’m about Me-Commerce-I am my own store.” If you do want to indulge in a little E-Commerce, which could eventually lead to some Me-Commerce feel free to email Debra at Debrathenutritionista@gmail.com . 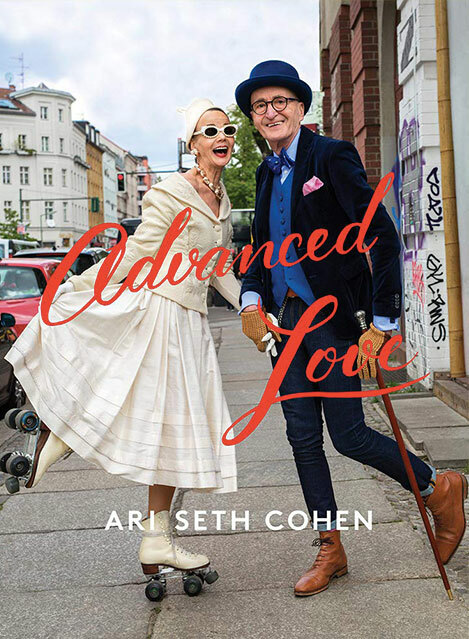 I stopped by Ilona Royce Smithkin’s apartment to show her a copy of the Advanced Style book. Check out her reaction to seeing herself in print, in the video above. 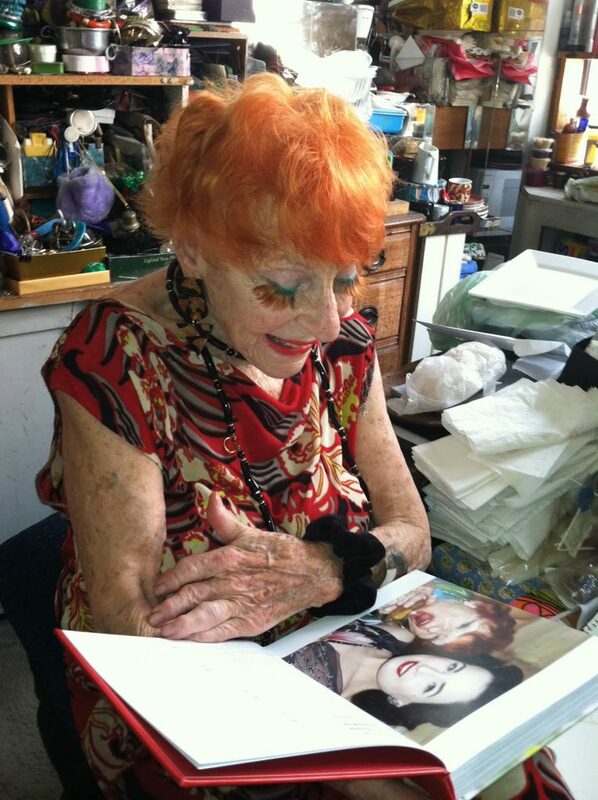 The book also includes an amazing conversation between Ilona and Dita Von Teese! I’m having a great time showing all the ladies their photographs in my book and can’t wait to celebrate its release May 22.